We have search the internet to select the best WordPress themes for non-profit organizations, NGOs and charities available , so we have no doubt that you will find among them the perfect theme for your entity. 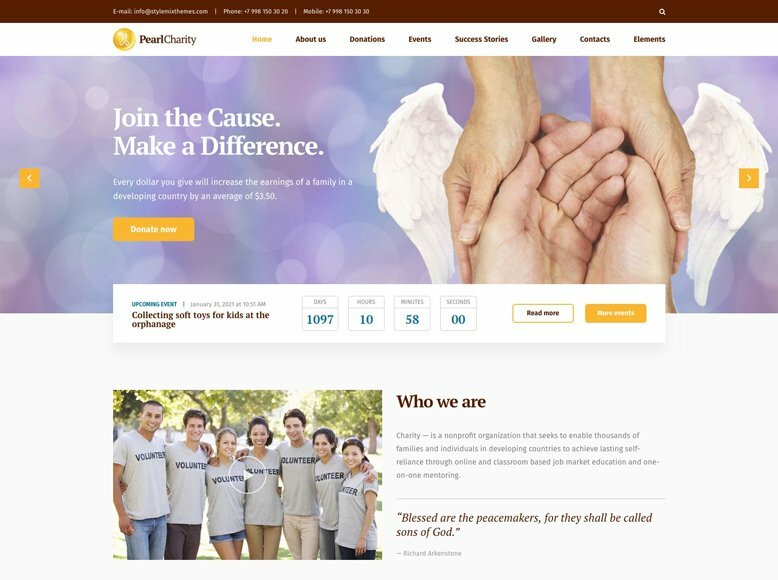 Collections of the best WordPress themes for non-profit organizations, foundations, NGOs, solidarity and charitable associations , allow these organizations that have a limited budget to create an exceptional and professional website with little effort. Not only is it economical and requires few resources, but it is a good platform for any non-governmental organization or charity. For most non-profit organizations, NGOs, solidarity associations and charitable foundations , the use of WordPress as an online platform is an excellent choice, allowing them to generate an image of trust and professionalism in front of their visitors, a key point for reach your objectives. There are a lot of free themes available in case you do not want to spend a lot of money, but if you are looking for a web page that offers all the necessary features for your organization/company, with a quality design, with regular updates and a technical support service that can solve any problem during your installation, we recommend that you choose premium WordPress themes especially designed for non-profit organizations, NGOs and charities. These themes all have features such as sponsor sections , donation buttons and easy-to-build animated banners that will help you convince your visitors to make their contributions through prominent calls to action. 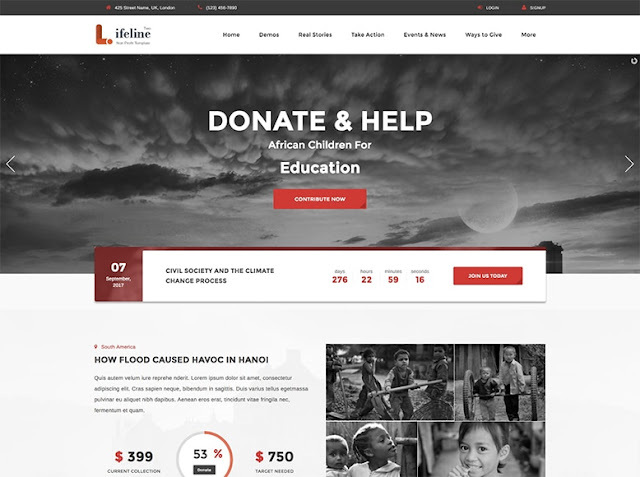 Lifeline 2 is one of the most popular WordPress themes for the creation of websites for non-profit organizations, NGOs and solidarity and charity foundations . The quality of its design is exceptionally high, It has specific pages for projects, events, equipment, blog, gallery, and cause management . This theme comes with 7+ pre-designed home page variations and ready to install with a single click, covering all possible ranges of needs of these entities such as: charity, non-profit, simple causes, foundation, NGO, protection of animals and more. The donors may select a cause, a coin and a period for recurring donations. They can specify the amount and make their payments weekly, monthly, every half year, etc., and choose between paying through PayPal or credit card . It has an option for visitors to register as volunteers through a customization form. It has regressive time counters that inform donors and volunteers of upcoming events in which they can contribute. In addition, through your blog you can keep them informed of your new projects, how the causes that are active are evolving, etc. Lifeline 2 is fully customizable through its powerful panel of options . It is optimized for search engines ( SEO ). Its design is 100% adapted to mobile devices , tablets, laptops and desktop computers. 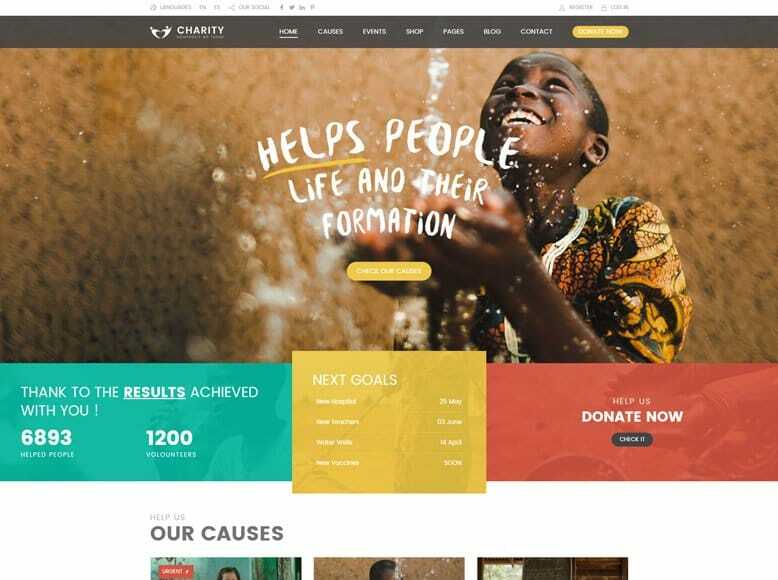 Charity stands out as one of the best selling WordPress themes last year and of better quality for solidarity associations, charity and NGOs . It is perfectly designed and highly effective for non-profit associations, non-governmental organizations (NGOs), donations and fundraising campaigns, with exceptional and amazing features. Charity theme comes with 6 variations of predesigned home page , its design is 100% adapted to mobile devices , tablets and computers. It includes extension/plugin that provides you with possibility of receiving donations online. The loading speed of pages is very fast and remarkable. It offers compatibility with WooCommerce, so you can have an online store where you can sell your products as a means to earn extra income. In addition, it has a functionality to manage events, with an attractive regressive time counter. And you don't have to worry because your pages will get rank and index on Google due to the inbuilt SEO optimization . 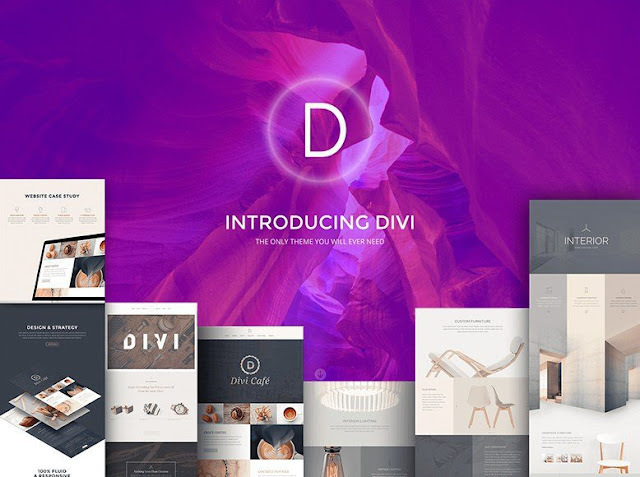 Divi is one of the best WordPress themes you can find . With more than 500,000 satisfied customers and good feedbacks. This theme offers a modern and clean design, which perfectly adapts your content to any size of screen and mobile device. It stands out for being highly versatile and extraordinarily easy to use . 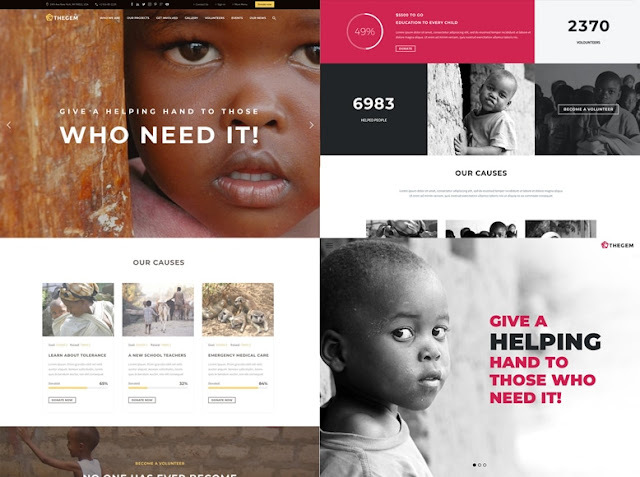 Divi can be used to create a website for any type of charitable organization, charitable cause, NGO, etc. By offering a complete integration with the WooCommerce plugin you can include in your website an online store where you can sell any type of product or service. Divi puts at your disposal its powerful graphical tool for creation of drag and drop pages - Divi Builder , so you do not need to know anything about code to build a unique website. In addition, it comes with dozens of predesigned styles that you can use as a quick start for your project. This theme is completely translated into 32 languages, including Spanish. It has advanced security against malicious attacks . It is optimized for search engines (SEO). And something exclusive to other topics on this list: it allows you to perform conversion factor tests for various content presentation formats, something really interesting if you want to analyze which is the most effective way to present your content to achieve the maximum conversion. Alone is an impressive WordPress theme developed for websites of non-profit associations, NGOs and charitable foundations that has a modern, flexible design adapted to mobile devices and tablets . Alone comes packaged with high quality features such as: a drag and drop page builder , 15+ predesigned homepage styles, 3 header styles and easy installation. 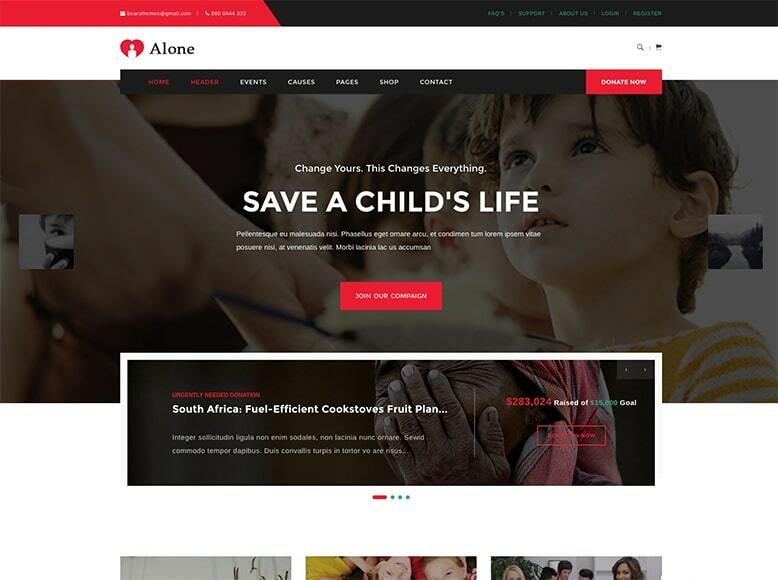 Alone makes use of the Give extension, a WooCommerce plugin that will allow you to receive donations online , raise funds, accept charitable gifts through donation forms, manage donors and receive income through various payment gateways. Your template code has SEO optimization , which will help you position yourself as best as possible in Google search results. It offers compatibility with WooCommerce, so you can have an online store where you can sell your products and get extra income for your actions. The loading speed of your pages is ultra fast . Supports unlimited customization colors. It is ready for easy translation to other languages. It is compatible with WPML - for the creation of a multilanguage website , and much more. 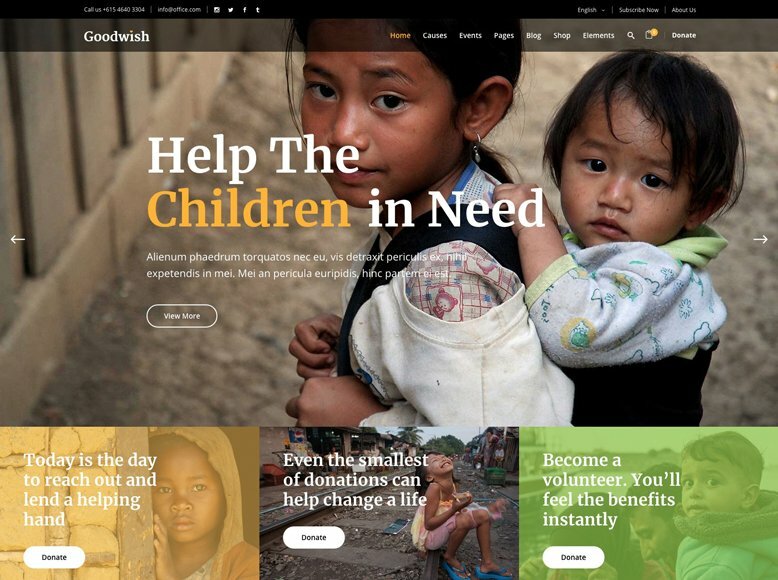 Goodwish stands out as a modern WordPress theme for websites of charitable organizations, charitable foundations and non-profit organizations. Goodwish comes with 8+ demos for your home page, oriented to different causes such as: charity, NGOs, elderly people, volunteers, fundraising and donations for disasters, habitat conservation, ecologists. It also has a large number of internal pages designed for various uses. And for those with limited code knowledge, Goodwish includes the popular Visual Composer extensions - drag-and-drop type page builder and Slider Revolution - in the same package - an exceptional solution for you to easily create and maintain your banners and animated images. With this theme you will have at your disposal an excellent portal where you can clearly organized and display your list of solidarity projects . As well as making known, through modern calendars, all your upcoming events . Users can open each event or project and learn more details. 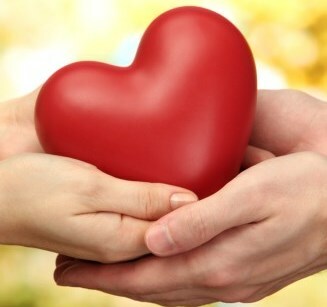 Thanks to its integration with the free Give plugin, you will have the possibility of receiving donations online . Other useful elements at your disposal are beautiful image galleries, price tables, calls to action, buttons for videos, zoom type animations in images, Parallax effects, testimonials, different styles of portfolios, Google Maps with personalization options, and plus. It supports WooCommerce plugins - which you can use to turn your website into a complete online store, and WPML -if you want to show your content in several languages. Goodwish offers integration with social networks , including share buttons and a module that publishes the photos you upload to your Instagram account. As for personalization, you can easily choose and modify the colors of all the sections and elements of your website, upload your logo, choose between 800+ Google fonts, and much more. TheGem is an elegant and sophisticated multipurpose WordPress theme, with high performance and robustly built. It can be perfectly used to create an effective website for the collection of donations, for charitable projects, charity, protection of animals in danger of extinction, or any other type of solidary cause. TheGem comes with 40+ unique and predesigned demos , which can be quickly imported with a single click and used to provide you with a functional website in a matter of minutes. With TheGem you will have a multitude of content elements to show all the information of your association such as actions you perform, who you are, income figures, portfolio of projects carried out, team members, testimonials, sponsors, opening hours, contact form , form to subscribe to newsletters , location maps, a blog to inform donors about news, 20 different portfolios and galleries to include photographs and videos, price tables, an online store to sell any type of product or service. It also has 150+ creative demos for your home page easily customizable with 250+ styles and that fit any website. Offering a fast loading speed of your pages, the best SEO techniques and a design totally adapted to any type of mobile device and screen size, this theme will help you to position your content as best as possible in search engines such as Google or Yahoo. TheGem includes free premium extensions and plugins such as: Visual Composer - popular page builder with a drag-and-drop graphic interface; Slider Revolution and LayerSlider - recognized plugins for the creation of animated banners. In addition, it is compatible with such interesting plugins as: Events Calendar, Contact Forms 7, MailChimp, Yoast SEO, Total Cache and many more. And if that were not enough, you can also easily translate and display your content in several languages ​​by installing the WPML plugin . Do not think twice and choose TheGem! 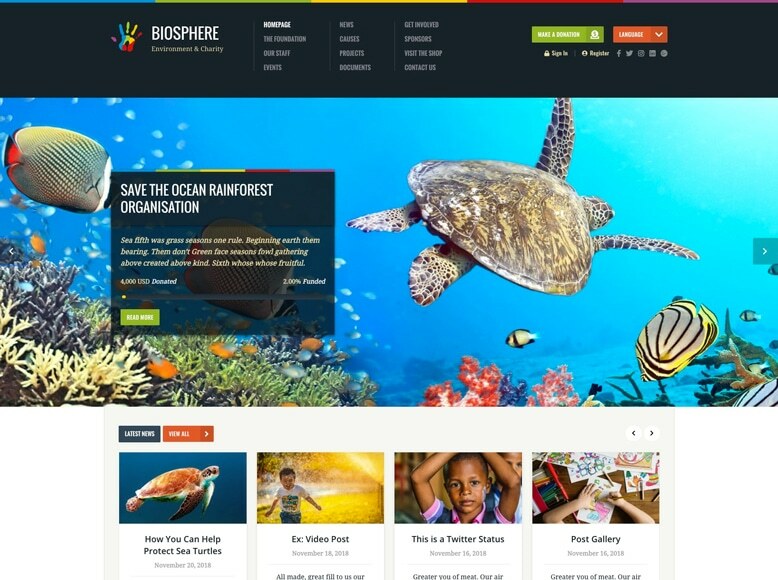 As its name suggests, Biosphere is a perfect theme to create a quality website for your non-profit organization and environmental and animal protection foundation . 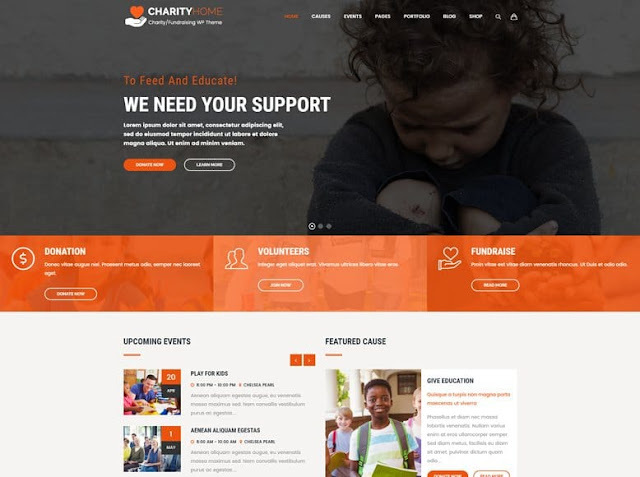 This theme will help you raise funds for your causes, create an online store, promote events and show all relevant content related to your NGO. Your visitors can make online donations to your solidarity projects by clicking on a button. Allow your donors to choose to give recurring donations - weekly or monthly, or a single income. It has progress bars that show the money collected and what remains to achieve the goal. It has pages to show complete lists of causes in progress. You can offer complete information about all your projects, your members, publish documents, upcoming events, sell online by installing WooCommerce - free online sales plugin, it has advanced customization options, it is compatible with Gutenberg - the WordPress page builder based on blocks. Biosphere has been created to provide you with all the tools, features and functionalities you need to have an exceptional website that represents your brand in the best possible way. It includes 9 types of personalized entries , an impressive professional design and unlimited areas of modules (widgets). It adapts perfectly to any type of mobile device, tablet, laptop or PC. Even retina devices (HD). The loading speed of your pages is extremely fast. Your code is clean and optimized for search engines (SEO). It is easy to install.It complies with the European data protection law (GDPR). 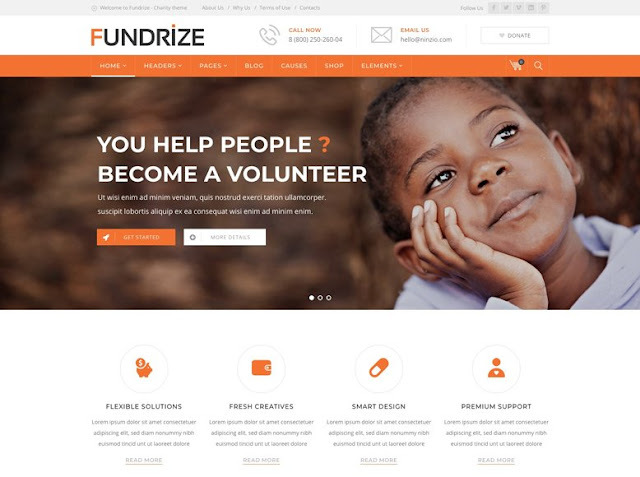 Fundrize is a clean and flexible premium WordPress template, specially designed for the creation of charity and donation websites. It is perfect for NGOs, charitable organizations, nature conservation, fundraising, donations , etc. As it is compatible with the Charitable Donation plugin , you can create very simple donation and fundraising campaigns, showing progress bars of earned income and outstanding percentages. This powerful template offers a large number of customization and configuration options , including unlimited header styles, unlimited color schemes and hundreds of fonts. The construction of your website and all your pages will be extremely intuitive, thanks to the fact that it comes with the powerful premium extensions Visual Composer and Slider Revolution . And if you want to have your website ready in a very short time you can make use of its multiple predesigned demos, and import them with a single mouse click. Being compatible with the plugin WPML (which must be purchased separately), you have the possibility of having a multilanguage site. In addition, it is ready to translate easily. Its design is 100% adapted to all types of mobile devices, tablets, laptops and computers, even to retina (HD) devices. Your code is optimized for search engines (SEO). Fundrize offers integration with the popular free extension of WooCommerce online stores , so you can sell any type of product or service from your website. It also supports the most popular WordPress plugins. Pearl WP is a modern multipurpose WordPress theme designed to offer a complete solution to any type of website. Given its high flexibility, the large number of functionalities that it puts at your disposal and its multiple customization options, Pearl WP is an excellent choice for non-profit, charitable foundations, campaigns crowdfunding and attracting donations for charity projects. Undoubtedly it is a light and fast subject, your pages load super fast. It comes with 18+ ready-to-install demos with a single click - among which we find a specific one for charitable and volunteer organizations. In addition, it offers in the same package 200+ blocks of personalized content and a multitude of premium plugins that will help you create a unique website in a matter of minutes and without knowing any code - such as WPBakery Page Builder, Slider Revolution, LayerSlider WP , Pearl Mega Menu, Pearl Slider, Pearl Iconloader, Booked Appointments , Contact Forms 7, WooCommerce, MailChimp, Instagram Feed, WordPress APM and many more. It is also compatible with the popular Visual Composer page builder and the plugin for WPML multilanguage sites . You are ready to translate easily into your language. Pearl WP has an advanced administration panel from which you can customize to your liking the visual aspect of almost any element of your website, choose between unlimited colors, 800+ Fonts Google Fonts , upload your logo, set the style of your headers and footers, and much more. Its development team offers excellent 24/7 support with chat , makes continuous updates. Charity will allow you to have a powerful platform if you want to have an effective website for your charity, charity or NGO . This theme will help you raise funds for your cause, promote events related to your charity, show all kinds of content, have an online store and much more. It offers a professional design and 100% adapted to mobile devices, 9 types of personalized entries and unlimited areas for modules. It is integrated with PayPal and Stripe (Visa, Mastercard, etc.) so it is ideal to accept online donations and fundraising. This theme shows progress bars that show visitors in real time the amount collected and how much is needed to reach the goal, you can also add donations manually. Allows you to set up recurring donations - once, weekly, monthly - an excellent way to ensure that your causes receive ongoing support. Charify offers an accessible means for your visitors to know your active projects and those already made, you can show lists of projects and for each project its corresponding page where you can report all its details. In addition, it has sections where you can present and promote the members of your team , and include contact information such as telephone, email, blog and links to their social networks. Since share documents related to your organization is important to generate greater confidence with your audience, Charify allows you to publish books, flyers, newsletters and annual reports in PDF, eBook or .zip format, and your visitors can download and share them. And if you want to have an online store where you can sell books, merchandise or any other product, this theme is compatible with the free WooCommerce extension. Charity Life is a unique WordPress template for charitable foundations, non-profit associations, non-governmental organizations, humanitarian aid, medical aid, associations for the protection of the environment, animal associations and NGOs. This impressive template has an outstanding banner on your home page where you can encourage your visitors to make donations for your causes and projects, or inform them of upcoming events. Charity Life has personalized ticket types with progress bars that shows the amount collected to date and how much is needed to reach the goal. In addition, you can include sections for your visitors to register as volunteers , donation buttons through PayPal , specific sections for causes and projects , events with its location map, image galleries, a complete online store with WooCommerce , and much more. Charity Life has an advanced panel of options that will allow you to customize this template to your corporate image with unlimited colors. In addition, it is ready to work in multilanguage mode , it is easy to install since it will only take you a few minutes. The loading speed of your pages is extremely fast . It has an excellent support. BeTheme is a highly flexible and versatile WordPress theme, which has been developed with the aim of satisfying the main needs of any type of website or blog. It is perfect for the creation of NGO websites , charitable foundations, charitable organizations, portals to raise funds for projects , etc. This theme includes 400+ demos in the same package , ready to install with just one click, among which we find specific designs for charities and NGOs. BeTheme brings 2 page-building tools, with intuitive drag-and-drop graphical interfaces - Visual Composer and Muffing Builder 3 . Through its advanced options panel you can choose between unlimited colors , 600+ Fonts Google Fonts, Mega menus, Parallax effects and background videos. You will have 20 customizable header styles and 200+ short codes that will greatly facilitate the task of creating your website. BeTheme is optimized for search engines (SEO) and the loading speed of your pages is exceptional. It works perfectly in all types of browsers and is 100% adapted to mobile devices, tablets and retina (HD). And if you need a multilanguage website it will be enough to install the popular WPML extension . A great choice that we recommend you keep in mind. 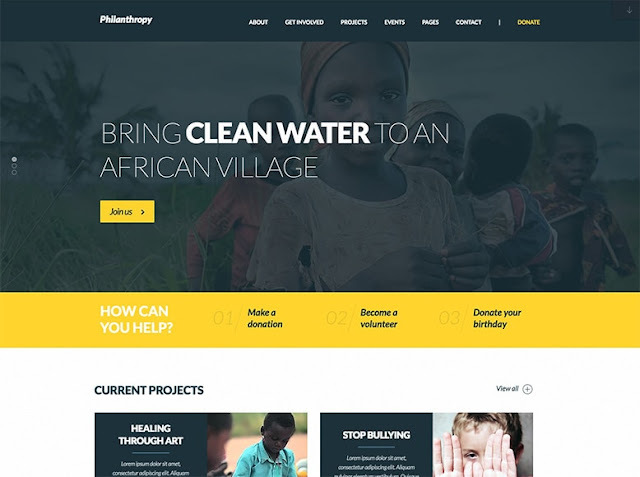 Philanthropy is a WordPress theme with a bold, modern and flat design , adapted to mobile devices and retina (HD). Philanthropy is highly customizable - it allows you to change colors, page backgrounds, and many other elements through its powerful panel of options and with just a few clicks. This theme comes packaged with features such as various animated banners , an intuitive color selector and multiple color schemes, incorporating a calendar of events , multiple page layouts, hundreds of Google Fonts fonts, and mega menus. This theme has a drag-and-drop page builder , unlimited side columns, is ready for easy translation to other languages, is prepared to work with the WPML extension for multilanguage sites , has a powerful module for creating custom forms , is optimized for search engines (SEO) to help you capture the maximum number of visits, and much more. 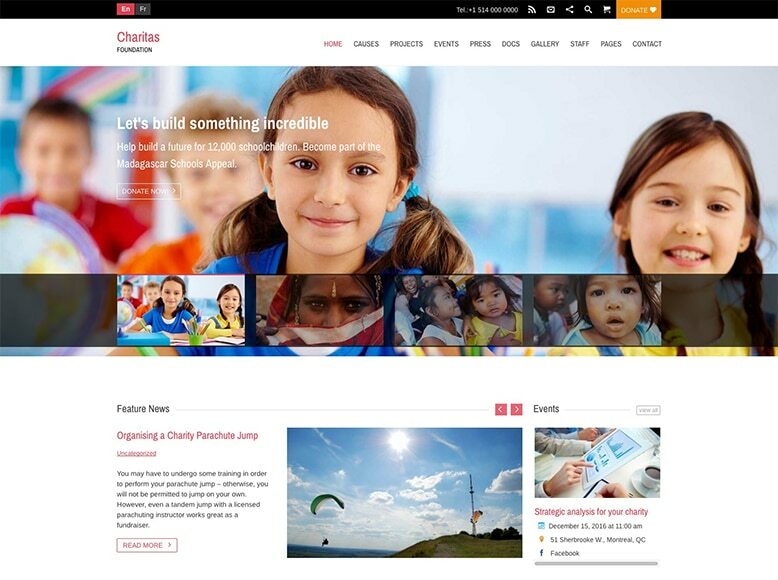 Charitas is a simple, clean and professional WordPress theme, 100% adapted to mobile devices. Ideal for charitable associations, non-profit organizations, non-governmental organizations , humanitarian aid, help to disadvantaged children and NGOs. Charitas has an outstanding banner on its main page with which you can encourage your users to make their donations online for projects and causes, or show them information about upcoming events. It comes with personalized ticket types with progress bars that shows the amount collected at the moment and how much is needed to reach the necessary goal. You can include sections for causes and projects , donation buttons through PayPal , events , press releases, image galleries, an online store with WooCommerce , and much more. it includes an advanced panel of options that will allow you to customize this template to your corporate image with unlimited colors. In addition, it is ready to work in multilanguage mode , it is easy to install since it will only take you a few minutes. The loading speed of your pages is super fast . It has a fantastic technical support. Kallyas is an impressive multipurpose WordPress template that has 30,000+ satisfied customers. It puts at your disposal an all-in-one solution, which includes the most advanced technologies in web design , clean code, 100% adaptation to mobile devices and retina (HD), and SEO optimization. Kallyas can adapt perfectly to websites for charity, fundraising, donations and NGOs. This template brings in the same package 50+ clip demos that you can import with a single click of the mouse. In addition, it includes the popular tool of construction of pages Visual Builder - with a graphical interface of the type to drag and drop, and the extension Revolution Slider - with which you will be able to create impressive banners of sliding images that will help you to raise funds for your causes. Therefore, it is not necessary that you know anything about code. Using your demos and Visual Builder, having a unique and functional website will take very little time and effort. Kallyas is ready to be easily translated into another language, and has integration with the extension for WPML multilanguage sites , so you can promote your projects internationally. Also, if you need to have an online store that allows you to sell any type of product or service you can use the free WooCommerce plugin . This template includes 12 unique home page layouts , price tables , multiple blog styles , stunning image galleries and videos. It has integration with the plugins for forums and social networks bbPress and Buddy Press , unlimited icons, unlimited colors and much more. Avada in a recognized WordPress theme that has 400,000+ downloads. It is one of the most popular topics, and for good reasons. Its design is 100% adapted to mobile devices and retina (HD). It is compatible with the free WooCommerce plugin for online stores , so you can easily sell your products and earn extra income. This theme has a premium quality banner, an advanced panel of options with which you can customize this theme to your liking, 5 styles of header design, unlimited colors and backgrounds, developed in HTML5 and CSS3 and much more. It comes with 35+ predesigned demos for your home page and a multitude of templates for internal pages . It also includes a tool to build drag-and-drop pages , so you do not need to know anything about web programming. Its support is exceptional and has extensive documentation. It supports the most popular WordPress plugins such as W3 Total Cache, Yoast SEO, UpdraftPlus, Ubermenu, WP Rocket, All in One SEO Pack and many more. 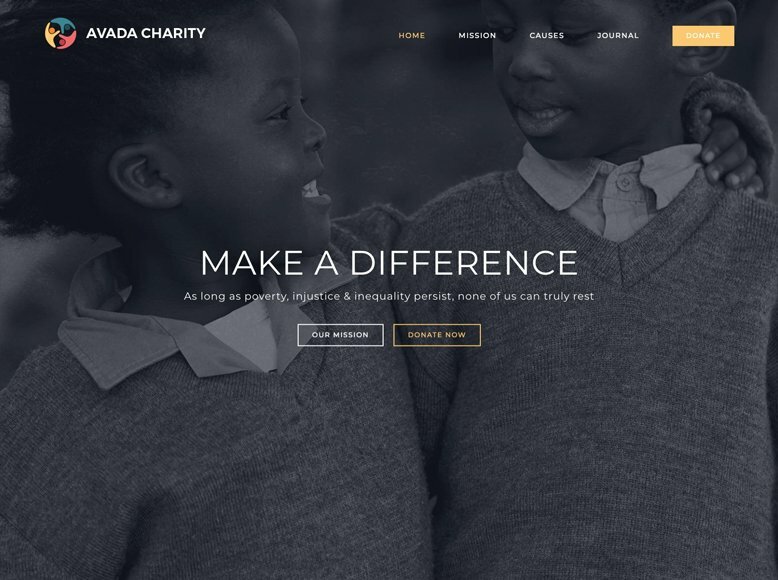 Charity Home is a template specially designed for the creation of websites for charitable organizations, non-profit, unique causes, protection of the environment, fundraising solidarity, NGOs, religious organizations and any other philanthropic project. This template is fully integrated with the Charitable extension - a robust donation collection tool for WordPress that supports payments through PayPal and offline donations (in its free version) and Stripe, Autorize.Net, PayUMoney and PayFast (in its premium version). Charity Home comes with 4+ pre-designed demos for your homepage and you can import with just one click. In addition, it includes in the same package the popular premium extensions Visual Composer and Revolution Slider , so you do not need to know anything about code to create your pages and contents, since both plugins have very intuitive graphic interfaces. It is also compatible with WooCommerce, so you can sell any type of product from your website, from books, to merchandising products, music, etc. Through its powerful panel of options you will have the possibility to customize its visual aspect adapting it to your tastes and needs. Supports unlimited colors to customize your elements and 800+ fonts Google Fonts . 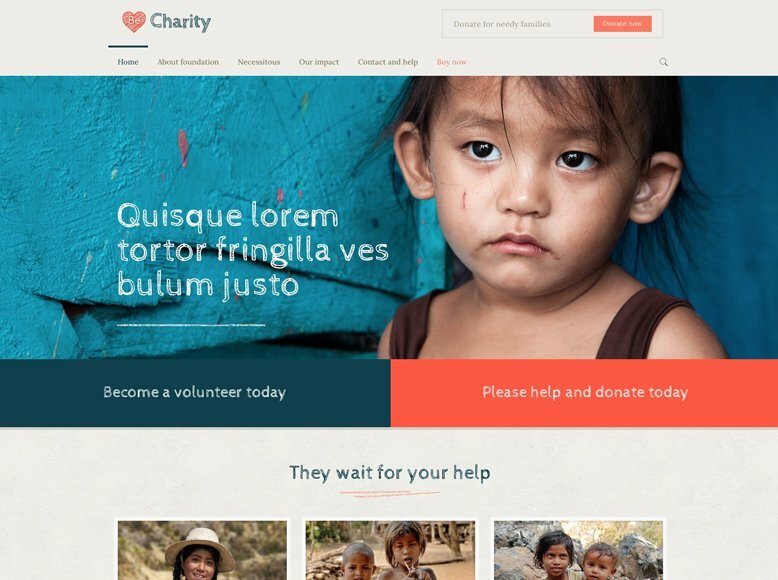 Charity Foundation is a WordPress template with a clean, modern and elegant design, adapted to mobile devices and tablets. Ideal for all kinds of charitable organizations, humanitarian aid, fundraising, non-profit associations, NGOs and churches . 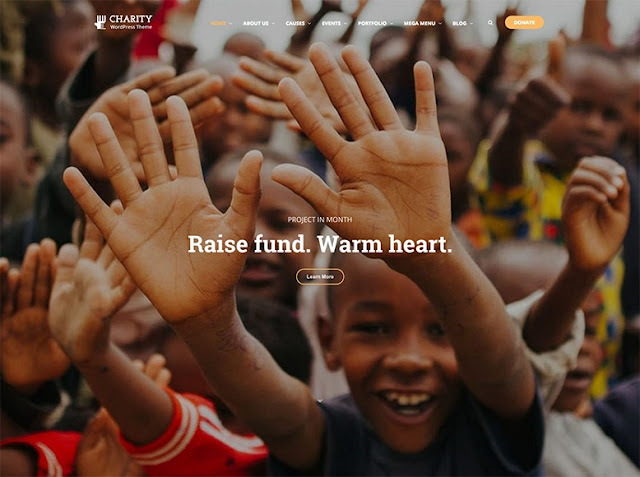 Charity Foundation includes a powerful extension for donations , which will allow you to publish your causes on your website and allow your visitors to make contributions through PayPal. In addition, it includes in the same package premium plugins as useful as: Visual Composer - popular tool for creating pages of the type drag and drop; Slider Revolution - powerful banner builder that will help you manage your sliding image players. This template is compatible with plugin like: Events Calendar - so you can share your upcoming events with your audience; WPML - in case you want to share your content in several languages; WooCommerce - the most downloaded extension for the inclusion of an online store in WordPress; Contact Forms 7 - with which the creation of your customized forms will be very easy for you. 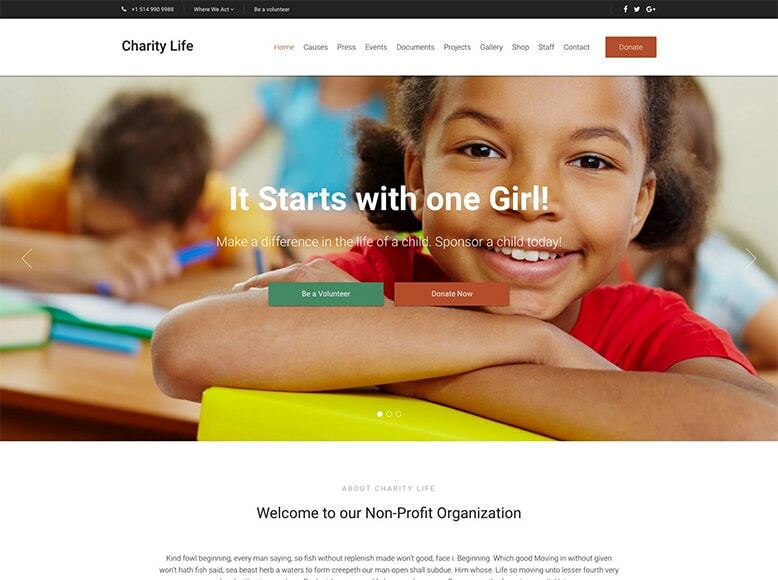 Charity Foundation also comes prepared for your website to be positioned in the best positions of Google or Yahoo, so your code is optimized (SEO).